I started the morning by teaching a group of people how to ride. Some new to Mountainboarding and Mason returning from the Ace-Hi holiday program to shred the hill once again. Once the lesson had finished people from around Melbourne started showing up. We had a quick ride on the hill and before we new it, it was time for lunch. We head back to the main hall to find Joel and Jay Lee in matching aprons cooking up a feast. We all sit down for some snags and watch some classic Mountainboard videos, including my new Pro Part. Once lunch was annihilated, everyone rushed back out to the hill for a serious amount of shredding. More people had showed up, some new riders had come accross from the last weekends Mountainboard demo at the Red Hill Show. The session was heating up. There were crews riding the Boardercross, freestyle and meeting in the middle to ride the freeride section. It was so awesome to see so many people riding the hill after many months of digging! We are still a while away from finishing the new park. Still making lots of little tweaks and getting closer to getting the freestyle finished. Watch this space we will have an update video coming soon. 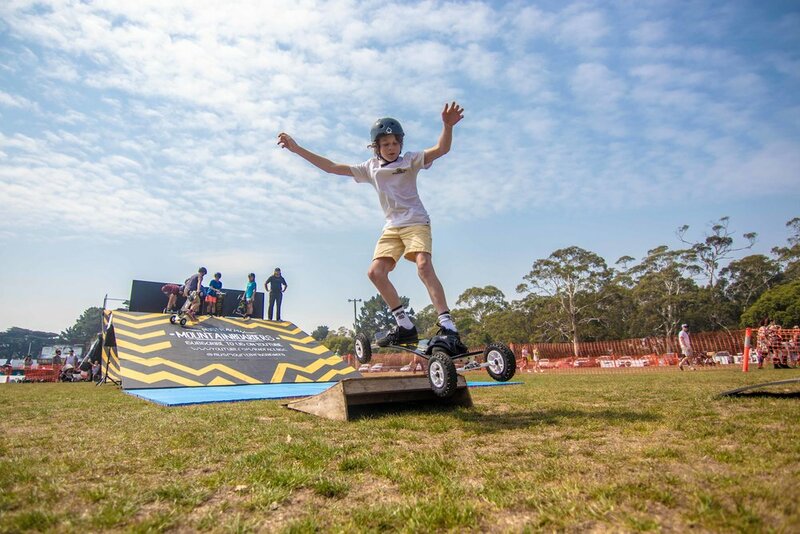 Massive shout out to MBS Mountainboards, MBS Australia and Ace-Hi for hosting such a awesome day! Looking forward to many more sessions like this in the future. BEACONSFIELD MOUNTAINBOARDERS will finally have a home after Cardinia Shire Council approved the Masterplan for the Officer District Park at their last General Meeting. 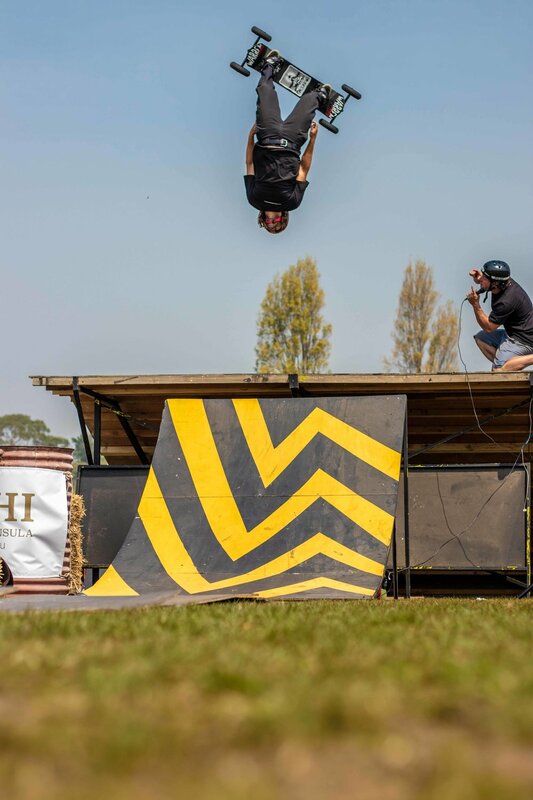 Councillor Brett Owen said the “exciting reserve” will sit atop the “highest point in the residential part of Officer” on Skyline Drive in the Grandvue Estate and will be large enough to host regional mountainboarding, skateboarding and BMX events. “It’s attracting older children and teenagers, I think that’s great; there’s probably a current gap at the moment for that sort of thing”, Cr Owen said. 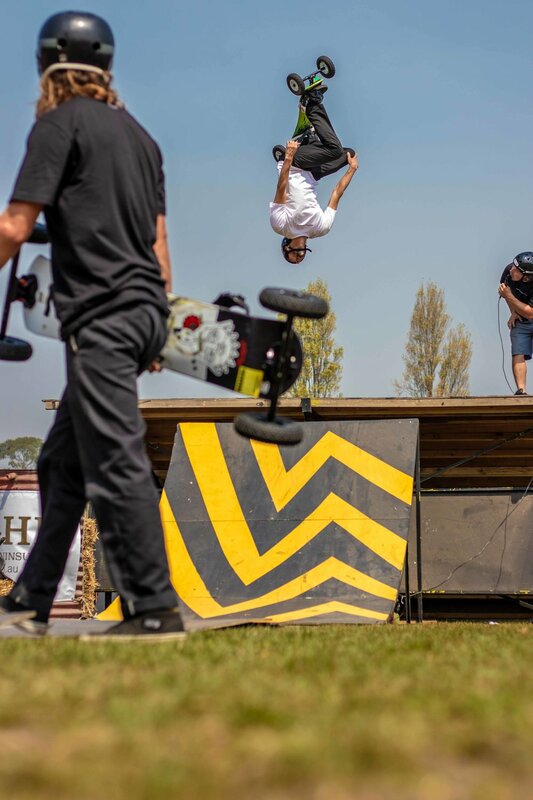 “We’ve got small parks around the shire but to have a regional type skate park is really exciting”. He also said the Council has received “overwhelmingly positive” feedback from community consultation. Cr Owen said the estimated cost of the park is $5M and Council have applied for a $2M grant via the Australian Government’s Building Better Regions Fund. Cr Owen said, if Council is successful, this money would be “a very good start”. “It would do a fair share of what we’re proposing to do on the masterplan”, he said. He said while the remainder would likely be funded by general rate revenue, Council is always looking for other grant opportunities. Cr Owen hopes the park will be completed in 5 years, inclusive of the current budget discussions. Professional Mountainboarder, Dylan Warren said they have been petitioning Council for a facility for two years. However, Cr Owen said finding a site with the right topography had proved difficult. 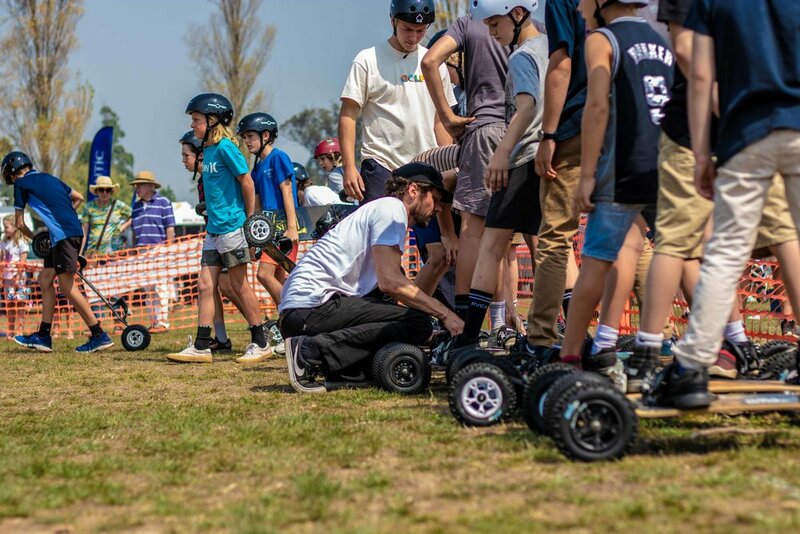 Dylan from Australian Mountainboarders said, “We’re trying to build a community and introduce kids in the area to mountainboarding. We also try to promote outdoor lifestyles and putting aside their PlayStations”. 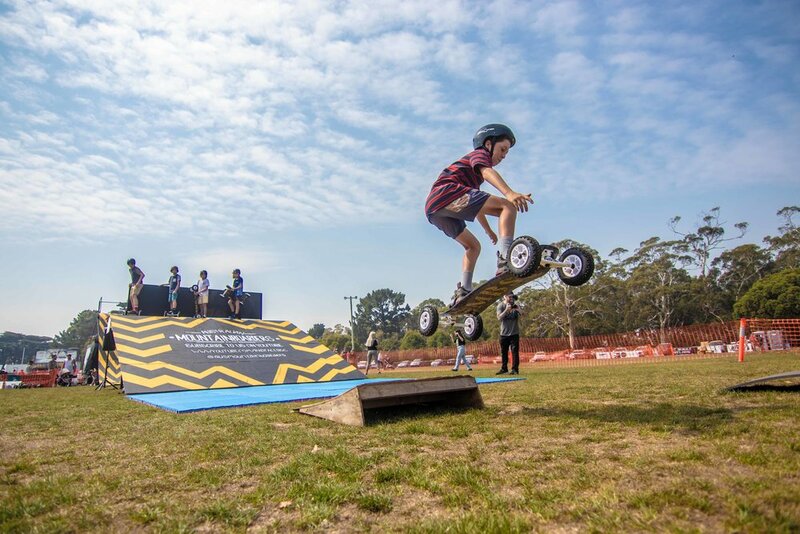 Together with the not-for-profit Victorian Mountainboarders, Australian Mountainboarders offer free workshops for kids. But Dylan said the lack of a facility in the area had been a problem. 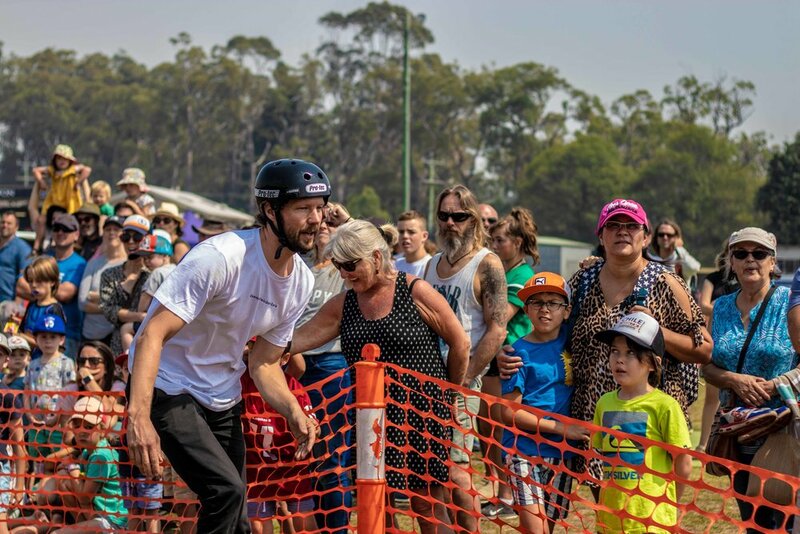 “There wasn’t a facility in the area where the kids could go after school and ride on the weekends and really build that community like they do at a skatepark”, he said. “The missing piece in the puzzle was that these kids were getting into the sport, but they had nowhere to ride”. Dylan said mountainboarding also attracts snowboarders looking to practice in the summer or skateboarders who want to ride different terrain. 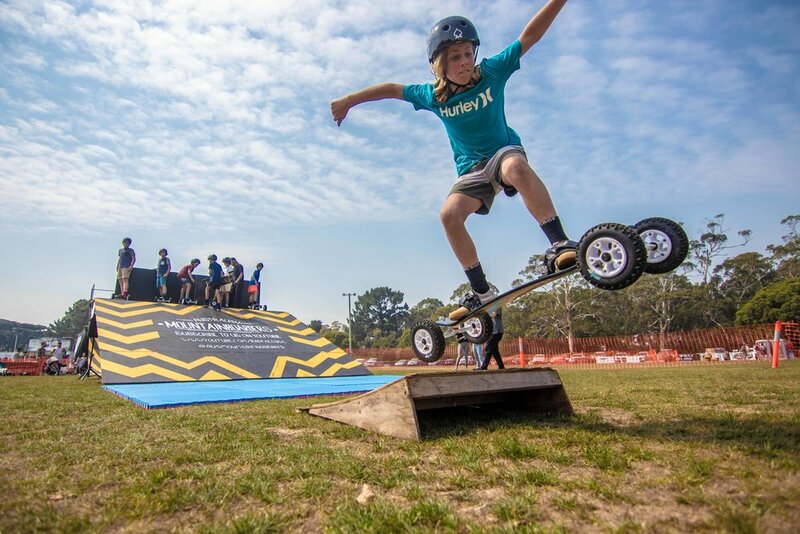 “Eventually, when the park is built then we’ll have a home for Mountainboarding and a world-class facility in Cardinia”, he said. “We’ll be able to grow and introduce more kids to the sport we love so much”. Cardinia Shire Council 2019, ‘Council meetings – agendas and minutes’, retrieved 7 January 2019, <https://www.cardinia.vic.gov.au/meetings>. Cardinia Shire Council 2019, ‘Council meetings - Cardinia Shire Council’, accessed 7 January 2019, <https://www.cardinia.vic.gov.au/info/20007/your_shire_and_council/117/council_meetings#section-3-watch-the-most-recent-council-meeting-online--monday-10-december>. 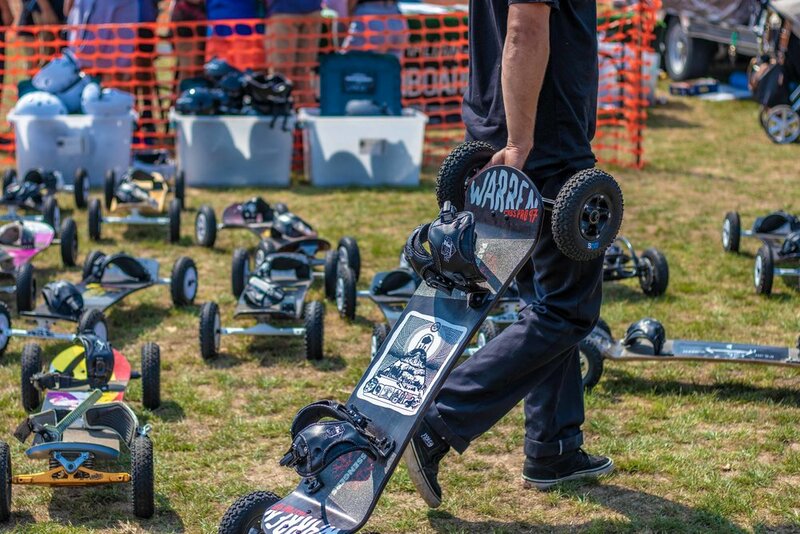 Man we love to teach people how to Mountain Board! 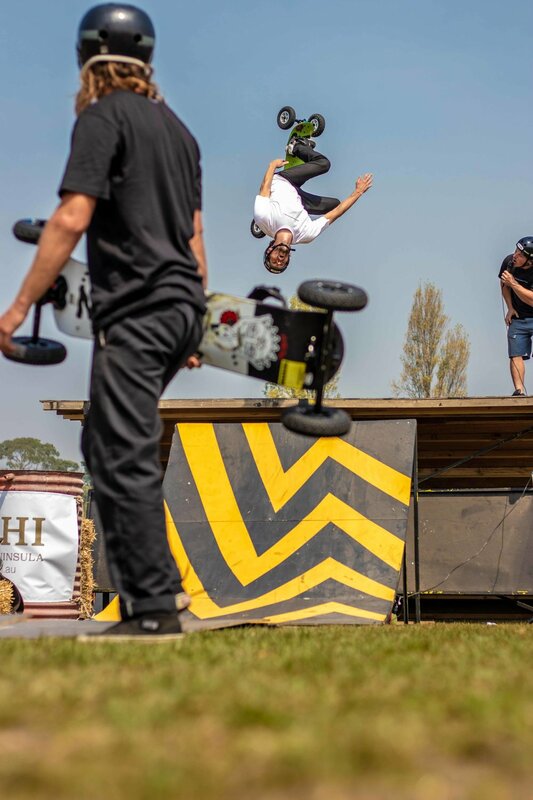 It was all very exciting when the 14th of Jan rolled around because that was the start of our week long Mountainboard camp! 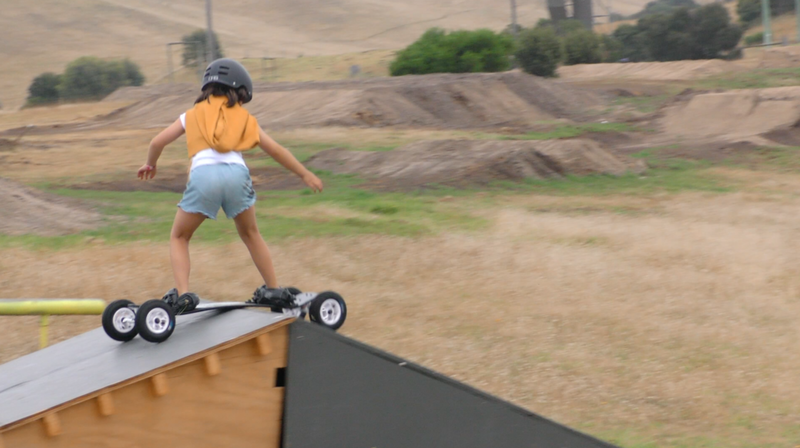 Ace Hi Ranch hosted this years camp (the same place we are building a Mountainboard Park). 20 girls and 2 boys had booked in to our first camp of 2019. 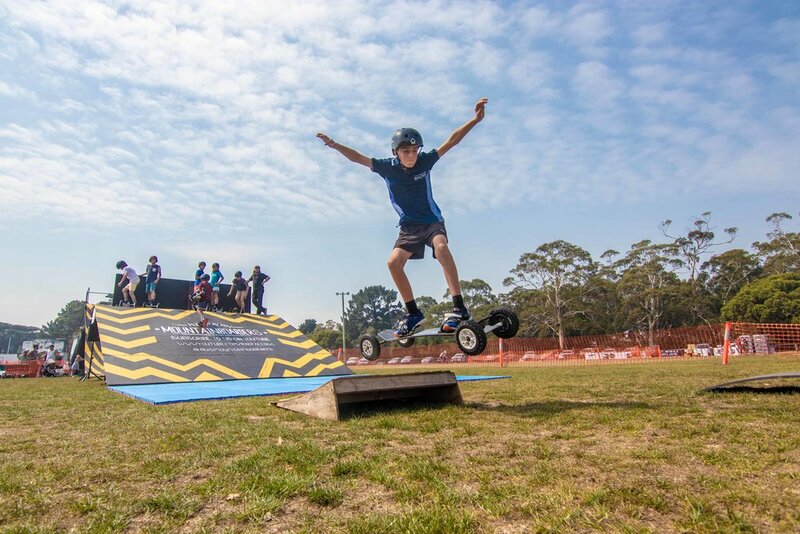 Alongside Mountainboarding campers get to experience; horse riding, The Big Swing, zip-lines, The Amazing Race, Ninja warrior and much much more. Set for the best week ever the campers were admittedly a bit nervous for their first Mountainboard Lesson. Worried about falling off and walking back hill. 10 minutes into the first lessons the campers slowly started getting the hang of Mountainboarding. Realizing that Mountainboarding was similar to skateboarding, it slowly became familiar. After learning the basics of riding down the hill a few times, the team was becoming more and more confident. Asking for more challengers, the campers slowly made there way up the hill and by the end of the first lesson everybody had figured out how to ride their boards smoothly and safely. Carving down the grass slope with knees nice and bent they had demolished all fears of riding the All-Terrain boards and had already found a new sense of confidence in them selves. It was truly rewarding seeing the kids progress in just an hour and be so pumped for more by the end. They were disappointed to find out they had to wait a whole day to do it all again. Wednesday rolled around and there was a new attitude amongst the riders. They were super excited to get back up on the hill. The riders ran up the hill and strapped in and immediately started riding, just like they had never stopped. The next two days we focused on style and control and tried some new tracks. The brave tried some of the Boarder Cross track getting some dirt under they’re boards, and boy did we see some smiles after that! We even had some of the teams start experimenting with the jumps and some event nailed it on just their third lesson! After a big week of Mountainboarding, Horse riding, Barn disco’s and much more the campers had made new friendships and found a new favorite sport. Sad to go home the kids where super stoked to give it their all in their final Mountain Board lesson. We saw massive progression in this lessons. The riders where trying new lines down the hill, overcoming new challenges and learned many new skills. My personal highlight was seeing so many of the team hit the wooden kickers and some even taking their new skills to the bigger jumps. Many of the campers said they can’t wait to come back to Ace Hi to ride the park when its open. Camp was so much fun!! I can’t recommend it highly enough. We will be taking bookings for next terms camp. So make sure you send us an email ausmountainboarders@gmail.com to reserve your place! If you would like to see more from camp I did a live video on our Facebook Page which you can view here and I have posted some photos on our Instagram page here. Thanks to all of this terms campers for riding with me and I can’t wait to see you all again on the hill very soon!